1. 4 shelves designed to support a heavy load amount. 3. Shipped flat to keep budgets down. 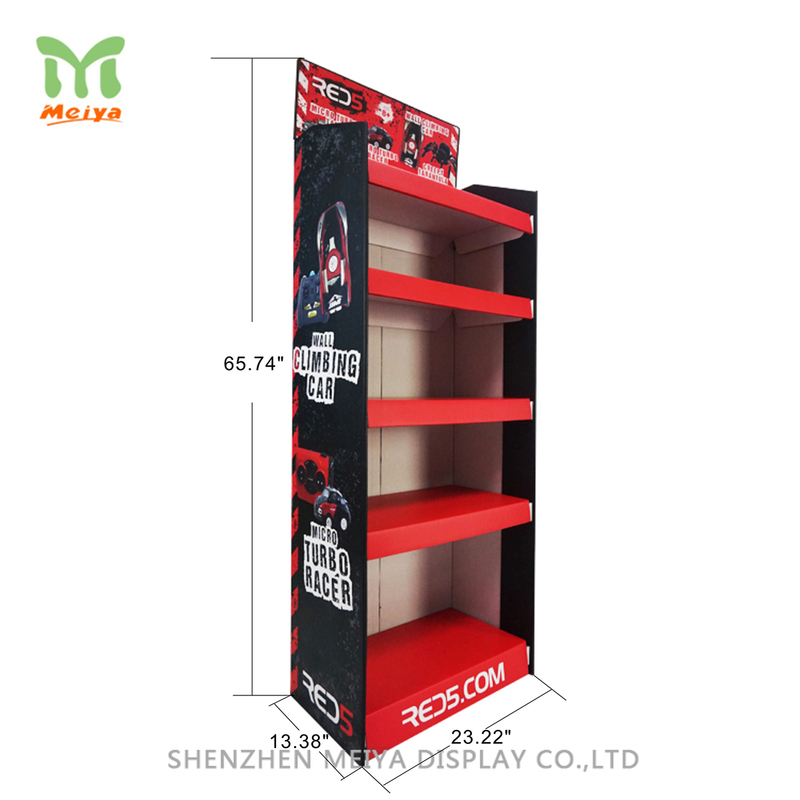 These promotion cardboard display are designed with multi-tiered, that is a perfect solution to store many products, save space at the meanwhile. You can create a fresh graphic on the removable header or take it off to make a low profile. And such cardboard displays can be used in music and video stores, card and book stores, convenient shop and more.